Naddia Hubbi, founder of Sweet Pillar and Co. Courtesy of Sweet Pillar and Co. When Naddia Hubbi was getting ready to open a Syrian desserts company, branding experts advised her to market the treats as "Mediterranean" rather than "Middle Eastern." Their reasoning, she says, was that it would be a safer, less-polarizing and more recognizable option. Despite the advice, Hubbi followed her instincts and went with the Middle Eastern concept. Her company, Sweet Pillar and Co., found a national distributor within three months of opening and broke into major natural-foods grocery chains on the West Coast due in part to its unique niche. "You have to create your own path, by being true to who you are, because that's going to make you unique," say Hubbi, whose Beverly Hills, Calif.-based company uses her grandmother's Syrian recipes. But appealing to a broad customer base can be difficult for some small businesses that are grounded in a distinct cultural brand and don't want to water down their image. Brands that successfully navigate the tightrope largely don't stray far from their core identity, says Chris Klaehn, director of brand strategy at Corey McPherson Nash, a branding and design firm based in Watertown, Mass. "[Focus] on what differentiates you, and what's valuable and relevant about what you offer," he says. Here's a look at three ethnic brands and how the small companies behind them overcame the unique challenges they encountered when starting out. Three years ago when J.D. Sethi founded Dahlicious -- a maker of Indian yogurt fruit smoothies called "Lassi" -- he cooked up in-store samples and gathered feedback from potential customers. He learned that the majority of customers were more willing to try a traditional yogurt smoothie than an "Indian" smoothie. "We realized American consumers don't prefer sour flavor," Sethi explains. "We adjusted our yogurt culture and process in order to [ensure a mild flavor]." Sethi also learned that customers weren't crazy for traditional Lassi flavors such as rose and almond. Instead, he decided to alter the recipe to create more common flavors including strawberry and blueberry. Additionally, Sethi experimented with different packaging options to find a way to both attract attention to the product and communicate the yogurt's cultural uniqueness. 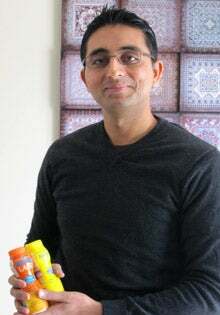 Sethi initially went with a vibrant-colored container that features the word "Lassi" prominently, but is revising the label to reduce the size of "Lassi" and increase the description, "so consumers better understand the product," he says. The bottom line is that authenticity matters, Sethi says. The product has gained momentum with customers, he says, and the Tewksbury, Mass.-based company recently expanded distribution beyond the Northeast into the Midwest and Southeastern U.S. "We wouldn't be growing like we are if we pushed our ‘Indian-ness' under the rug," he says. When looking to grow, it's important for many niche brands to be flexible and try out different tactics, bearing in mind that not every effort will be successful. For example, Elan, a Morristown, N.J.-based lifestyle magazine targeting affluent Muslim-Americans, launched as a print publication in February 2008. It soon went online-only after publisher Moniza Khokhar and her team recognized a shift in advertising dollars from print to digital. Even then, Khokhar says the biggest challenge was convincing U.S. advertisers to spend money with a Muslim-focused publication. 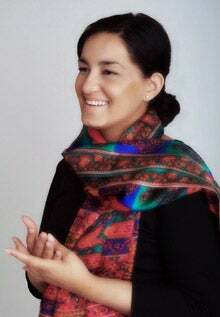 Khokhar turned her focus to international advertisers, including Middle East-based airline companies, hotels and Muslim conference producers. "We don't have the barriers with [international advertisers] that we do with U.S. companies," Khokhar says. "They get what we're trying to do." After seeing their international competitors on the site, Khokhar says, U.S. companies have been more inclined to advertise. But even three years after launching, Elan has made only modest inroads in the U.S. ad market. The split between U.S. and international business is roughly 50/50, she says. "It's a struggle because we're an emerging market, and U.S. companies are apprehensive about advertising in any new market," says Khokhar. "As we expand internationally, we expect [to gain] more international advertisers than domestic." Cultural branding also can stir controversy. Hispanic-focused online clothing retailer Surropa.com encountered a public backlash from anti-immigration crusaders in 2007 after a Texas-based department store started selling t-shirts made by one of Surropa's partners emblazoned with the slogan, "Brown Is The New White." The message angered shoppers and sparked national news coverage. 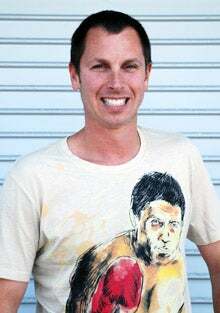 "Our intention is to present the best of Latin culture and style through t-shirts, art and gear," says Surropa owner Dean Schwartz. The intention wasn't to create conflict. Schwartz says that while stores were pulling the shirts off their racks, sales at Surropa.com blew up. "When the CNN, Fox News and other reports came out," says Schwartz, "we sold out of the ‘Brown Is The New White' t-shirt in less than one hour and reprinted it two more times." Schwartz says he's encouraged to continue selling edgy clothing for the Latino market. "There will always be people who don't like what we stand for," he says. "We get crazy hate mail. But that's such a small minority. Most people love what we're doing. We're not going to let some negative publicity keep us from being true to our brand."